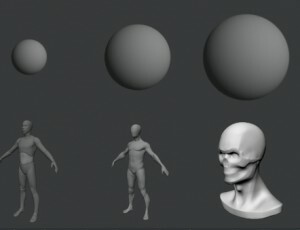 This is the start of a tutorial series I would call „daily sculpting“. 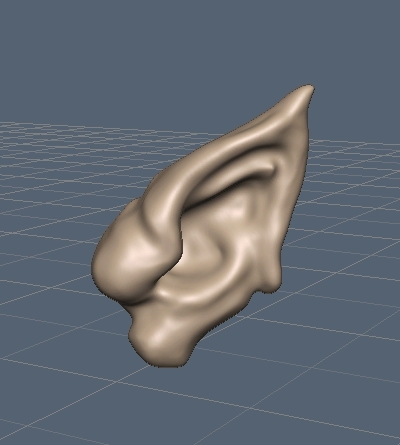 To be honest it’s not daily although I am sculpting daily, but I will describe a sculpting task every few days. 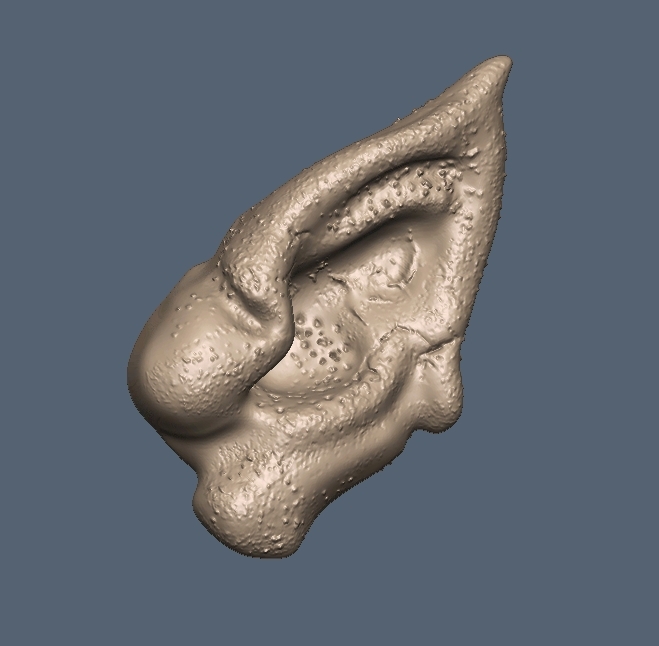 So the first task is creating an ear (or two when we use the axis symmetry) for a monster. 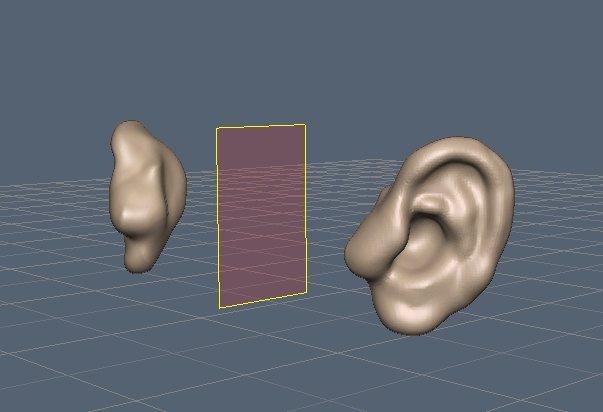 I won’t build the ear from scratch, I will use the ear of the 3D-Coat demo head as a basemesh. 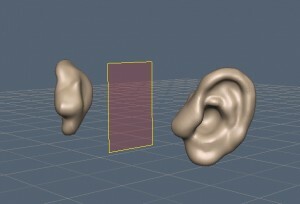 Fine, I like this shape, now I will add some carves and detail shapes so I increase the resolution (multiply 2). I add the details with the Grow brush in positive and negative direction (holding Ctrl-key). 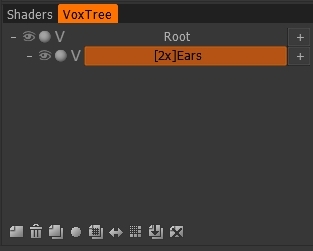 So much for the first task, just try to do something like that, it’s not required that it looks exactly the same. Play around with 3D-Coat and the tools I mentioned and learn by sculpting.